GDC is the annual Game Developers Conference in San Francisco. This is our second time at GDC. This year we focused on making friends and meeting people (and of course checking out the games). Here are some of the people we met along our journey… Most of the people here are involved in some way with App development or is an indie. This is not an exhaustive list, so if we forgot to include you – no hard feelings! Happened to meet Greg at the Chicago airport! We’ve always been a big fan of Greg’s work. He worked on Threes! and Ridiculous Fishing. 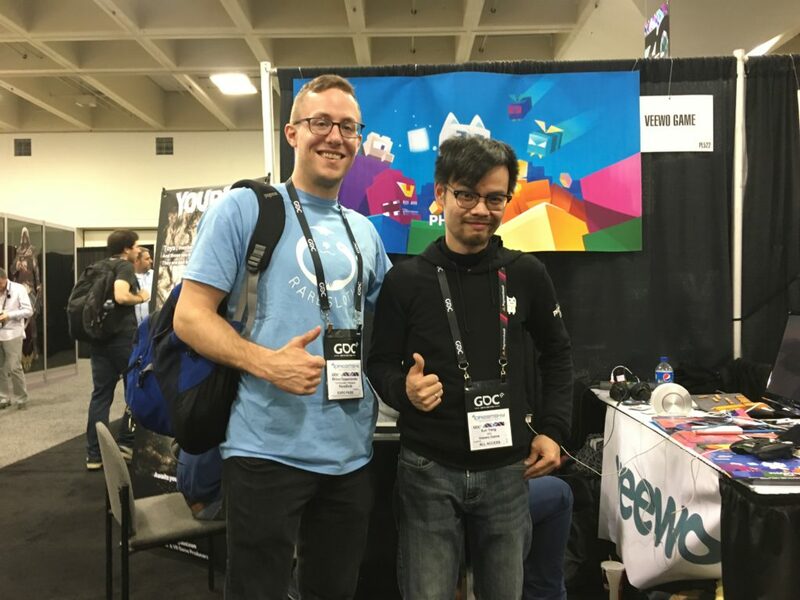 Overall his work has been an inspiration, and he may be the most humble dude at GDC. We got to play his newest title — Tumbleseed at the Mild Rumpus. David Laskey who also works on Tumbleseed was there as well and we spoke a bit about his experience in porting to PlayStation. Looking forward to the release of Tumbleseed for Switch, PS4, and Steam. Met Paul at IMGA (International Mobile Gaming Awards). He is a PR wizard and told us about an interesting non-profit Swedish accelerator called Stugan, definitely check it out. He was also very willing to share some quick insights on game marketing which we appreciate, thanks! Butterscotch Shenanigans brothers + Andy and Monique. We’ve known the BScotch guys for a few years now and it was good to see them again. Adam shared some insights on hiring which will help our studio in the coming year, thanks Adam! They have been successfully growing their company and have added the wonderful Andy and Monique, both interestingly coming from non-game related fields. We’ve known Jeff for some time, and it was good to speak with him again at IMGA. He is clearly a big fan of Apps as he created 148 Apps and is now the managing editor at Slide To Play. Oh, and he loves beer so he does beer things too – check out beergeek. Met these two at IMGA. They are co-founders of Triple Topping Games and are currently working on a game called Bubble. We got to demo the game for a few minutes, it’s looking fun! This trio founded Roboto Games and are very close to releasing their latest game Age of Rivals on Steam. We had first met back in 2015 at Casual Connect, so it was great to see some familiar faces. 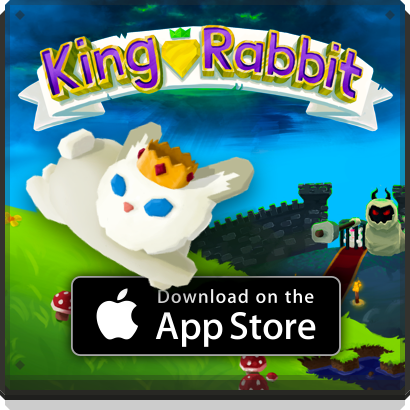 We talked about the marketing intricacies of a game aimed at both mobile and PC. They are down to earth people with a knack for great games. Best of luck with the launch! Amir made his break with a dark room on iOS. He showed us an early version of his game Mildly Interesting RTS (MIRTS) at the TouchArcade party. He’s also writing a book. We told him we were grateful for his blog where he wrote about his App Store experiences. His insights were helpful and fun to read when we were getting started in the App business. Chen works for Pocket Gems and found us at the Unity Ads party and invited us to their party the following day. He was very welcoming and helped us get registered and settle in at the party — thanks Chen! Greg has a wealth of knowledge in the industry and recently joined the Pocket Gems team. Really pleasant person who is the creative director of Spryfox and author of the lostgarden blog. I find value in his design insights and I highly recommend reading his posts. He revealed a teaser for a VR experience called “Beartopia” featuring their brand of cute bears. What I really enjoyed about hearing about this game is that it has a purpose of fostering community and cooperation… Creating positivity via games. Thanks Danc! Briefly met the head of the studio that made Monument Valley. Their new game which is still a secret is coming… I didn’t get to speak with Dan for very long but he was very friendly despite it being the end of an exhausting week of GDC! I had to include him because the work done at UsTwo is simply inspirational. We first met this company and team because we were finalists last year for the IndiePlus award. 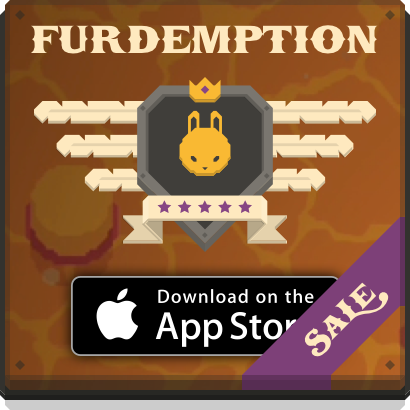 FunPlus recently launched a $50 million fund for indie mobile games, a very cool thing. They graciously invited us to this year’s award party which happened to have a live sloth in attendance (epic!). Thank you Keeley for making us feel so welcome. Thank you Dan for being generous to us and introducing us to some very interesting people like George Fan (creator of Plants vs. Zombies) and Ryan Green (creator of That Dragon Cancer)! We found these guys at the Mexico booth in the expo center. These guys are working in Chihuahua, Mexico at Lienzo games. They are working on a fast paced action adventure game called Mulaka. We are grateful for Adolfo’s insights on Mexico and his willingness to be a friend and contact. We’ll see you the next time you visit Puerto Vallarta! Creators of Rodeo Stampede, the game that won last year’s IndiePlus $10,000 award! A super nice guy that seems to always have a smile on his face. They seem to be in a similar spot as us with updating their game. We had breakfast with these guys (creators of Looty Dungeon) and they showed us an early prototype of their next mobile experience — we are looking forward to it! We talked about some intricacies of the App Store and had some laughs about funny reviews people leave on our games. Check out Saam’s funny twitter thread on dumb game ideas. An old friend from Bloomington who is the creator of Stacks on stacks on stacks. He introduced us to the world of delicious cream puffs from Beard Papa. Good luck on the release Ian! Also some old friends from our Bloomington days. They worked on the iOS and tvOS ports of Road Not Taken, and have worked on educational games as well. We also found out they will be creating their own games – exciting news! We wish you the best. We met these two wonderful people at TouchArcade’s party. It was interesting to learn that they were able to make a living for a while through content they made in second life.. by selling digital babies — Yeah. They are just starting to adventure into the world of indie games and talked about their game called “Weirdables”. We met Raphi and Kevin on our way to lunch at an awesome Indian food place called Shalimar. Raphi is working on a top-down action multiplayer that is a blast to play. Its great to see the work he has been able to do as a solo developer. Kevin is also starting on a project in his free time featuring mechs. Thanks for taking the time to hang with the sloths. We look forward to seeing as many of you as we can next year! The people that made super phantom cat! One of my favorite platformers simply because of its beauty, color, and polish. Xun is a really cheerful guy and all of his team at the booth were super friendly. Thanks for the swag guys!